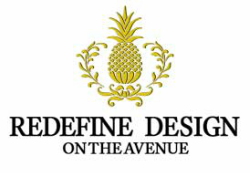 Redefine Design on the Avenue sells new and consigned furniture and accessories that have met the high standards of our discerning eyes. Our inventory ranges from refined and elegant to quirky and eclectic. Below is a representation of the exceptional items we feature at Redefine Design. Our inventory changes quickly, so visit often. Our consignment pieces are marked down every 30 days (if they last that long!). Sell your treasures! Appraisers on staff.